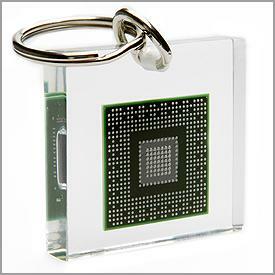 The Ultimate Gadget for 3D Geeks: NVIDIA G98 Based Keychain! Nice idea! 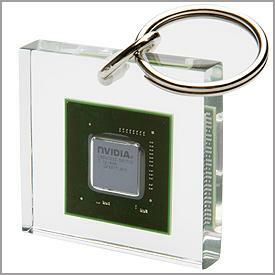 Seems NVIDIA has found a way to clear its stock of G98 GPUs: a keychain with a genuine NVIDIA G98 chip inside. You can buy it for $10 HERE. 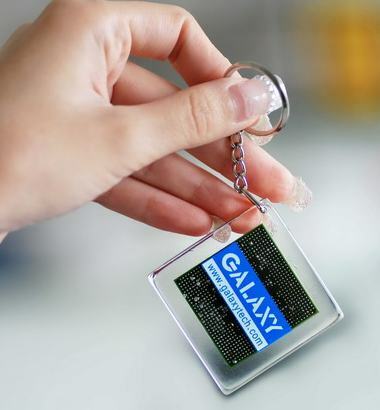 Want Galaxy’s GPU Keychain? You’re in Luck! CXT8000: NVIDIA Tesla-based Server with 1920 CUDA Cores for GPU Computing! That’s so sad…What a waste of computer power! ça fait quelle taille à peu près le machin?